(Pharmacist Ben)Iron, though birthed in the interior stars, is perhaps the most fundamental element of life on earth. In fact, it would be difficult to find a multi-cellular organism on our little blue planet that can survive without the third most abundant of her elements (after silicon and oxygen). 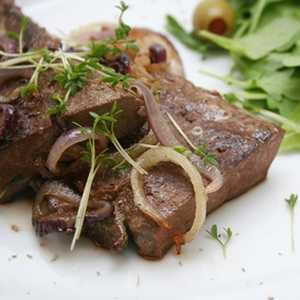 In the human body, nutritional iron is an essential component of hundreds of enzymes and proteins. One of the most noticeable signs of iron deficiency is that you just don’t feel so good! That’s because one of iron’s most important roles is to deliver energizing oxygen to cells and remove toxic carbon dioxide. For decades, iron supplements have been regarded as a panacea for most cases of the “blahs”. There are two types of iron found in foods: heme iron from meat and fish and non-heme iron found in meat, fish and vegetables. Of the two, heme iron is easier to absorb. Non-soaked grains and legumes as well as soy and compounds in tea, wine and coffee further hinder bio-availability. Vitamin C can improve the absorption of non-heme iron, so squeeze lots of lemon juice on your spinach! One important note about iron: you can have too much of a good thing. Iron is so critical to the body that most of it is recycled, not excreted or used up. And because of its highly electrical nature, iron overload can be a problem. Woman lose iron through menstruation and studies show that blood donors have lower rates of disease and are generally healthier than average. Non-blood donor men however, especially those consuming a lot of meat, may be at risk for iron overload. Unless you’re deficient, the best way to make sure you are getting enough iron is through quality heme iron sources and lots of iron containing plant foods like beans, chard, avocado and the aforementioned spinach. 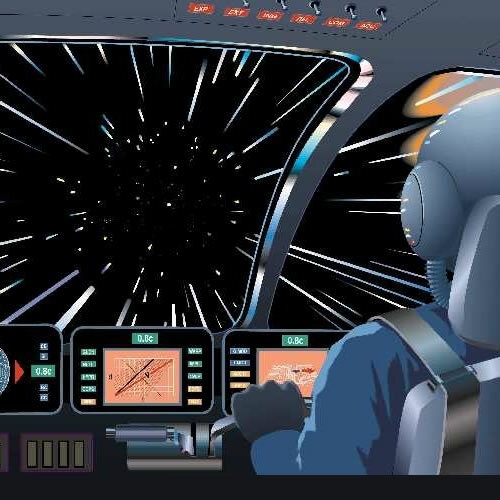 On the TV show Star Trek, when the starship Enterprise makes the jump from regular cruising to warp speed there’s a momentary jolt as the spaceship leaps to the higher, faster-than-light velocity. This type of bumpy ride is a boundary phenomenon and is always experienced as changes occur from one condition to another. Changes, after all, are never easy! This bumpy boundary “change” that occurs as one speed is changing to the next can be thought of as a type of membrane which is in essence an adjustment from one type of substance to another. Scientists call these substances “phases” and they refer to the change that occurs from one phase to another as a “phase shift”. Phase shifts can be thought of as transformations and anytime there is a transformation there is going to be a period of adjustment, hence the bump. And, that phase shift/ period of adjustment is chemically represented by what is referred to as the membrane. This transition from the watery milieu inside a cell through the oily cell covering and into the outer cellular environment is regulated and facilitated by the chemical components of the membrane. And, of these chemical components, which include fats and proteins, none is more important than choline, a molecule that can have BOTH watery and fatty properties. This ambidextrous nature makes choline an ideal molecule for the membrane transition area. Choline thus acts like a stabilizing force that allows the membrane to segregate the inside world of a cell from the outside environment it’s sitting in. In this way choline can be considered to be a converting chemical that can connect and transform the energetics, the energy activity of water molecules which have has a particular type of structural pattern (scientists call it polar) to the energy activity of oil which from a molecular standpoint is more like an unstructured straight line (scientists call it non-polar). Although choline intake is considered to be far below the adequate levels established by the Institute of Medicine, a non-profit health and nutrition think tank, choline is available in lots of foods. 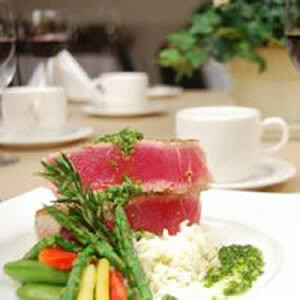 Fatty fish, beans, peanuts and organ meats especially liver (always a great source of nutrients) are good sources. Collard greens, broccoli and Brussels sprouts are also rich in choline. 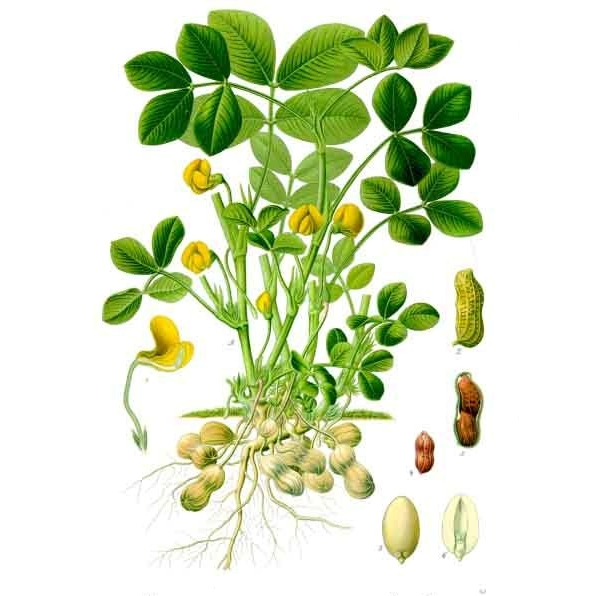 Lecithin is one of the best sources; it’s largely composed of choline and choline derivatives. And of course choline is available as a nutritional supplement. There’s no RDA dose for choline, it wasn’t even recognized as an essential must-have nutrient until 1998, but 200 to 500mg is probably a good minimum daily dose. Sugar is pretty interesting stuff. It is also misunderstood. For one thing, we all love how “sugar” tastes, but we don’t necessarily love its effects. And that presents a problem. Despite it’s well-documented health hazards, because we love the stuff, no matter how much we try to abstain, when it comes right down to it, turning down that apple pie a la mode or peach gelato, as much as we’d like to, can be pretty difficult, and at times impossible. That’s because our brains (our brainy cells which are fueled by the sweet and sticky substance) are hardwired to love sugar! On the other hand the downside of sugar ingestion, which includes weight gain, diabetes, eye disease, hypertension, jitteriness, and anxiety, well–those we would rather do without. 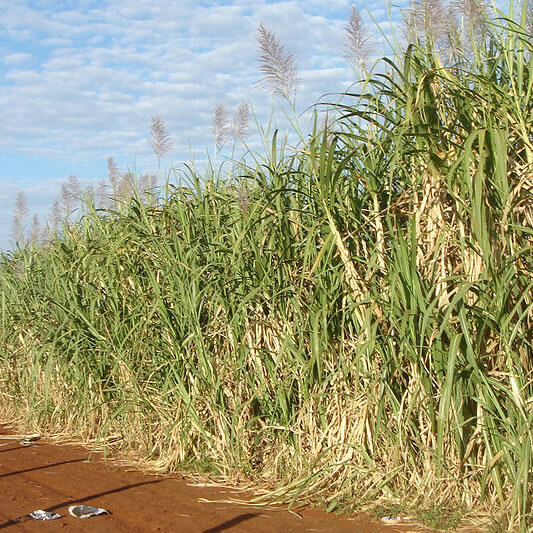 Thus the love-hate relationship we have with what is generally referred to as “sugar”. But, unbeknownst to many, there’s a whole other side to the subject of sugar! The chemical that most of us know as “sugar” and the substance that is so problematic is actually a special type of sugar called “glucose”. And, as it turns out, glucose is just one version of 8 different sugars that are collectively, if not entirely accurately, referred to as “essential”. These 7 other essential sugars aren’t very tasty or sweet, but importantly, they provide lots of health benefits. One of these essential sugars is called N-acetyl glucosamine (NAG) from which the arthritis-fighting nutritional supplement glucosamine can be derived. NAG can be especially helpful for skin health. The body can use it as a raw material for the production of the skin’s natural moisturizer hyaluronic acid. It can help prevent and reduce fine line and crow’s feet formation by activating collagen making cells. It may even be used topically to help lighten dark spots and improve other visible signs of skin aging, including thinning and wrinkled skin. And, its digestive system supporting properties can help improve immune system health and reduce the entrance of skin destroying inflammatory factors through the small intestine. In fact under conditions of digestive distress, especially leaky gut syndrome, it’s likely the body will divert NAG away from the skin to help repair the gut lining. That means less NAG available for keeping skin youthful, moisturized, and robust. Good food sources of NAG include aloe, shitake mushrooms, and cartilage. And, If you’re interested in using N-acetyl glucosamine, it’s available in a supplement form; try a daily dose of 500 or so mg. Or, If you want to use NAG topically, anti-aging skin health benefits can be derived by applying it directly onto the skin. Try making your own skin lightening and tightening toner by putting the contents of one or two 500mg capsules of NAG in a cup or two of distilled water or aloe vera gel. Pour a little on cotton pad and rub it gently on your face 4 or 5 times a week. This past November’s issue of the highly regarded publication ”Nutritional Journal” has a cool article about avocados. 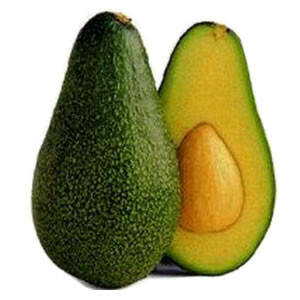 It quotes a study (entitled, somewhat awkwardly, “A Randomized Crossover Study to Evaluate the Effect of Haas Avocado Intake on Post-Ingestive Satiety and Insulin Levels and Subsequent Energy Intake in Overweight Adults “!) that compared the effects of adding a fresh avocado to a lunchtime meal to the effects of eating a standard non-avocado-including lunch. Scientists were looking to see how avocado consumption would influence blood sugar and insulin responses, and satisfaction and further food intake. The researchers, from the Department of Nutrition at Loma Linda University found that participants who added half an avocado to their lunch reported a significantly decreased desire to eat by 40 percent over a three hour period and 28 percent over a five hour period compared to their desire to eat after a standard, non-avocado-containing lunch. Even more significantly, their satisfaction was long lasting. Three hours after eating participants reported increased satisfaction by 26 percent. And the avocados didn’t throw off blood sugar. According to Dr. Joan Sabat who led the research team “…there was no increase in blood sugar levels beyond what was observed after eating the standard lunch”. So what is it that makes avocados so satisfying? Well, aside from the fiber and the nutrients which are always satiety-inducing, probably the most hunger busting element of the succulent green fruit are the fats. Avocados are among the plant world’s most lipid-dense products, containing significant amounts of both saturated and unsaturated fats. According to the USDA, 1 cup of avocado contains over 4 teaspoons of fat. What’s more, it’s got nearly 3 grams of protein (about as much as half an egg) and nearly 25 percent of the RDA of Vitamin C. And, next to zero calories derived from sugar! Considering that kind of nutritional payoff, it’s no wonder that avocados have been farmed for millennia. 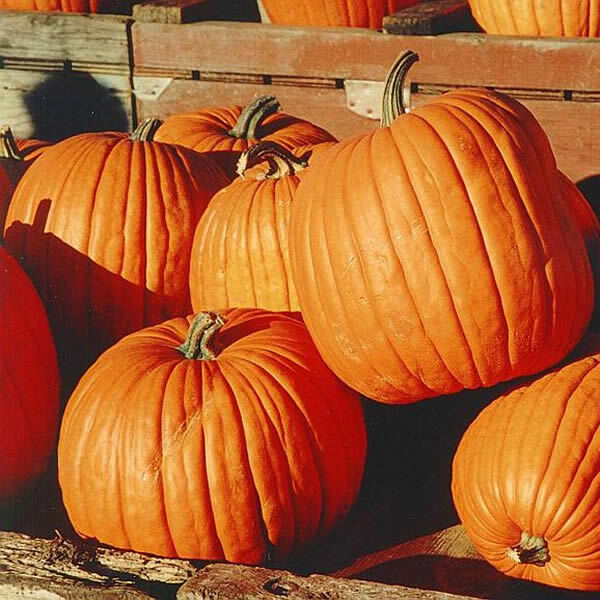 They’re one of the oldest cultivated fruits; Central American farmers have been growing them since 8000 BC. The most common avocado is the Hass variety, it comprises over 75 percent of the US avocado crop, which is located and largely concentrated in California, Florida and Hawaii and boasts business of nearly half a billion dollars annually. Other varieties include the oversized Florida Fuerte avocado that’s less fatty and gram for gram lower in calories than the venerable Haas, and the cocktail avocado which is pitless, and as tasty and delicious as it is difficult to peel and hard to find. Did you know you can prevent avocados from browning by sprinkling the flesh with a little lime or lemon juice? Use lots of Celtic Sea Salt on raw, fresh avocados. The salt and avocado fats will act synergistically to amplify the distinctive tastes and subtle flavors of the rich, buttery fruit. Can’t wait to eat your hard avocado? You can hasten it’s ripening by putting it in a paper bag. The bag will trap ethylene oxide, a ripening-inducing gas that is emitted by the tasty fruit as it ages. Make sure you keep the bag in a dark cool area and you check your avocado regularly or you may end up making guacamole! Are Multi Vitamins a Waste of Money? Are Vitamin Pills a Waste of your Time and Money? 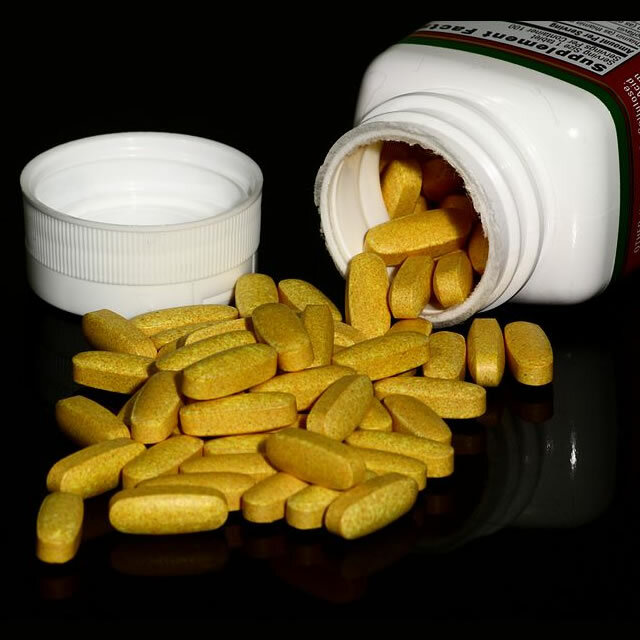 Multi Vitamins: A Waste of Money? Lol, despite the provocative and somewhat incendiary headlines plastered all over the media, even a cursory reading of the actual article originally published in the Annals of Internal Medicine (AIM), reveals scant evidence that taking a multi-vitamin is indeed a waste of money. The breathless headings and catchy captions refer to the conclusions of an AIM editorial that was based on the result of two studies. The first one looked at 1700 North American adults aged 50 and older who had a myocardial infarction at least 6 weeks prior to the beginning of the study, and who randomly received, EITHER a high dose 28 component vitamin mineral formulation or a placebo. The second study was done on 6000 male physicians, aged 65 or older, and who randomly received a daily multi-vitamin or a placebo. In the first study after 4.5 years follow-up mortality was no different between the vitamin group and the placebo group and in the second, after 6.5 years follow-up, vitamin-popping medical men showed no significant improvements in global cognition or verbal memory over their placebo taking colleagues. No mention is made of what kind or amounts of vitamins were taken, when they were taken, what they were taken with or of what kind of health conditions or challenges participants were confronting, especially in terms of digestive health. We don’t know even know if, and how effectively, the participants were absorbing their mufti-vitamin supplements? Without answers to these kinds of questions it’s impossible to derive any meaning from this kind of research let alone conclude that that regular intake of is waste of money. In fact, drawing these kind of conclusions from what are two, in essence meaningless, studies is at best ignorant and a classic example of sensationalism and yellow journalism, with no other purpose than attracting attention, and at worst dishonest, deceitful and misleading misdirection designed to cast aspersions on nutritional supplementation, and create doubt and cynicism on the entire world of non-medical health care. One of the most important points to consider about these periodic hit pieces that come out about multi-vitamin supplementation is the glib and very non-scientific way the word “vitamin” is used. Technically there are only 6 vitamins, specifically designated as B, C, D, E, A, and K; and they are all ESSENTIAL. The human body cannot live without them. They are as fundamental and as necessary as air and water. However many health care professionals use the term for essential, vital life-giving chemicals called vitamins as a catch-all descriptive term to designate any kind of molecular substance that is used to support the nutritional content of the diet including minerals, herbs, and other non-vitamin molecules. These health care professionals, who should know better, seem to think that the word vitamin is synonymous with a little pill that you take every morning. As in, should you take a vitamin? Or don’t take vitamins, it’s a waste of time. Or, Vitamins are waste of money. This way of describing supplements, of making a supplemental pill synonymous with a molecule or a chemical that is to be to the body what oil and gasoline is to a car trivializes the absolutely vital nature of the chemicals of life, which is what the word vitamin really means (amines are a type of chemical structure and vita means life). When you understand that vitamins are the chemicals of life, it becomes obvious how saying things l like: “Using vitamins is a waste of time”, or asking “should I take vitamin supplements” is really silly. Maybe we need a new word for vitamin. How about “life-force-molecules”? Would anyone say: using extra “life-force-molecules” is a waste of money? Or taking extra “life-force-molecules” is a waste of time? Or “life-force-molecules“ in a pill is a waste? “Life-force-molecules” is an apt description for these substances that are the key essential (and essentially magical) molecules that play such an important role in making sure we can move our limbs, and beat our hearts, and pump our lungs, and detoxify our blood, or clear out our bowels. These are all functions of the human body, and they are all dependent on “life-force-molecules”, on the chemistry of life, on what we call vitamins. Why would you NOT take supplemental “life-force-molecules” that are available in a capsule, or in a drink, or in a tablet form? How the heck can anyone think that using these things supplementally are a waste of time or a waste of money? When you understand that what we call vitamins are the molecules that channel the life force throughout our bodies, how can you not want to saturate your body, drench your tissues and cells with these elements. ideally from quality food, or if they’re not available in foods in high enough quantities, (and typically they’re not) by supplementing your foods with the Beyond Tangy Tangerine, the Ultimate Daily, and the Mighty 90. And can anyone say that using these things is a waste of time or money once they understand that these things are the carriers of the life force, they are the amines of life, and the chemicals of life. And it gets worse! How much nutrition actually was in these so-called high dose mult-vitamins is not mentioned in the media reports, so I did some digging. As it turns out, in the study on multi-vitamin use and heart disease, 100 i.u. of Vitamin D3 was used and a tiny amount of B-vitamins (50mg of B6, 200mg of B3 and 100mg of B1). 25,000 i.u. 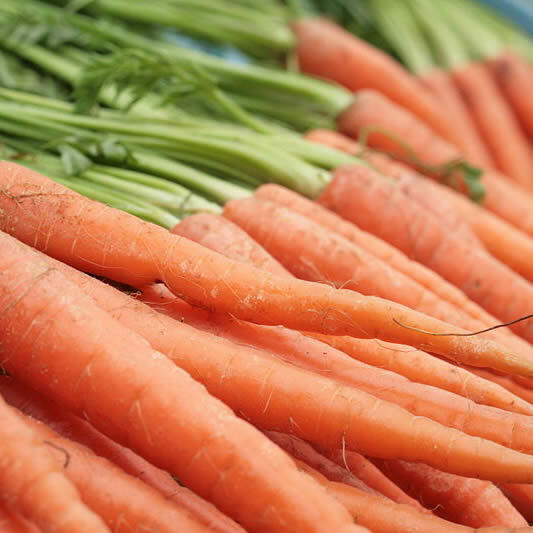 of Vitamin A was used, but it was partially composed of non-vitamin A compound, beta carotene. Do conclusions drawn from the effects of such scant doses of nutrients really invalidate the use of a daily multiple-vitamin? And the nutrient dose in the study on cognition was even worse. Participants were given the equivalent of a Centrum Silver vitamin. Authors of this second study even recognize, as a limitation, that “doses of vitamins may have been too low”. In both studies, conclusions were drawn based on patient’s reports of the supplements that they took and dependent on memory and recollection. They were not based on scientific measurements but rather on questionnaires. Does anyone out there believe that questionnaires constitute the rigorous standards mandated by science and the scientific method? Again, did anyone read this in the media articles screaming that scientists have” proven” that multi vitamins are a waste of time? And how exactly did these studies measure whether the supplements worked. What were the criteria that researchers used to assess efficacy and determine whether indeed using supplements are a waste of time. Well, in the first study, authors determined that a 25 percent reduction would be a required to determine that multi-vitamins were effective. In other words if there was a 24 percent reduction in cardiovascular risk according to the researcher, vitamins would be a waste of time. Now do you think that if a drug could reduce your risk of a heart attack by 24 percent that it could be consider wasteful. On the contrary it would be considered a miracle! You want more reasons not to pay attention to these ridiculous studies and conclusions. Ok, how’s this: subjects in the multi-vitamin taking group had a higher rate of diabetes, one of the greatest risk factors there is for heart disease, than subjects in the placebo group. In other words, the deck was stacked towards disease in the multi vitamin group and towards health in the placebo. And this is supposed to be an objective study! And finally how about all the other studies that have been done that show the importance and health relevance of taking even a paltry, bare bone minimum, multi-vitamin when it comes to health improvement? How about the Physicians Health Study that found that a multi vitamin was associated with 12 percent reduction in overall cancer incidence after 11.2 years? The same study found a 39 percent reduction in fatal heart attack risk. How about the supplementation in Vitamins and Mineral Antioxidant study that found a 31 percent reduction in total cancer incidence in men who took a daily multi vitamin. Another study published in the Journal of American Society for Parenteral and Enteral Nutrition in Feb 1995 showed that postmenopausal women who took vitamin B6 and B2 reduced their risk of colorectal cancer. Long story short, the bottom line folks is these things are not optional, they are the opposite of optional, which is what the word essential means. Without vitamins B, C, D, E and K, and without 60 minerals, and without the 2 essential fatty acids, and without 10 or 11 essential amino acids, you cannot have a full, long, vital, healthy, disease free life. period! That is not opinion, that is fact. 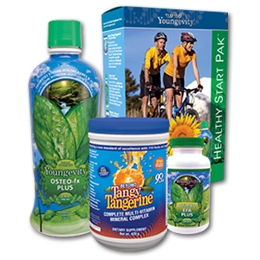 The appearance of disease and degeneration in response to the lack of these substances which are EASILY available through the Youngevity products, through the Mighty 90, through what is called a multi-vitamin, is one of the great tragedies of our modern lifestyle. To have medical professionals, and supposed scientists, and the media, and other sources we should be able to trust, spew out hostility and venom and perpetuate misleading mendacious lies about the importance these things is as unconscionable, as it is unfair. Now keep in mind here, neither I nor any other responsible nutritionist is making a claim that a multi-vitamin is going to “cure” heart disease and make you smarter or more glib, but that doesn’t matter. Nutrients, the components of a multi-vitamin pill are a must-have; they are not optional, they are essential. What does that mean? Simply this: without the molecules that we call nutrients, the human body cannot do what it needs to do to stay alive, period! Without the essential nutrients that are found in a multi- vitamin, bodily diseases are inevitable. That means, for example, without Vitamin C, blood vessels will degenerate, gums will swell and bleed, and joints will become inflamed and painful. Without Vitamin B1, confusion will ensue, focusing will become difficult, and hallucinations and delusions are likely. Without Vitamin B3, the digestive tract will begin to break down, painful chronic diarrhea is ultimately possible, rashes and “unexplained” dermatitis will develop. Without Vitamin D, bones are likely to soften and dissolve, and without Vitamin K, hemorrhaging and internal bleeding are real possibilities. Will taking a multiple vitamin on a daily basis guarantee that none of those unfortunate outcomes will occur? Probably not. But that’s doesn’t matter. The point is simply this: The essential vitamins and minerals that you’ll find in a multi vitamin are the basic, bare-bones minimum that the human body needs to do its work. Nutrients are not drugs. Nutrients are not medicine. Their effects are gentle and sustained, and unless frankly, all out deficiencies are present the results of supplementation are subtle. But that does not make them un-valuable, and they are certainly not a waste of money. Nutrients are nourishing and they are nothing more (and nothing less) than the raw materials that your body needs to do its work. They are the body’s equivalent of fuel for your car. To make the claim that nutrient supplements are a waste of money because compromised patients that took them didn’t get significantly healthier is like saying gasoline is a waste of money because your old junked out, beat-up, 1969 Ford Pinto with no oil in its engine and no coolant in its radiator didn’t run better even though it’s tank was filled with gasoline. In his classic work on the therapeutic use of digestive enzymes “Enzyme Nutrition”, Dr. Edward Howell, wrote that food processing and reduced intake of plant enzymes is one of the major causes of enzyme deficiency and ultimately of chronic degenerative diseases. Enzymes, substances that speed up the rate of chemical reactions in living systems (including the human body), come in two varieties. The first affect foods, and increase the reactivity rate of digestive chemistry, and are called appropriately enough, digestive. The second, those that affect the rate of all other chemical reactions, including healing, growth, repair, cancer-fighting, immune boosting, and ant-aging are called metabolic enzymes. 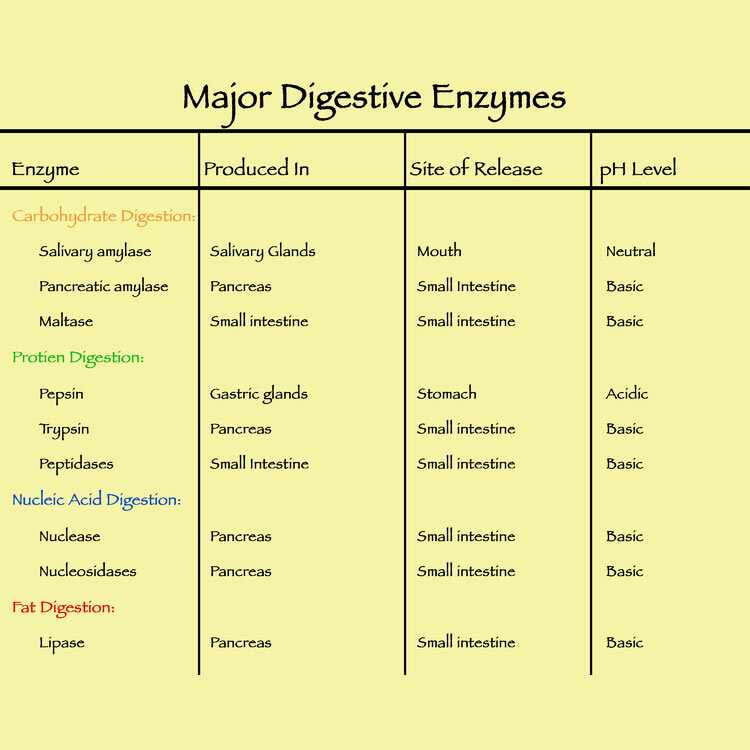 In addition to being found in all living beings, so-called digestive enzymes are also found in foods themselves. Unfortunately, these food enzymes are delicate and ephemeral and unable to survive the intense processing of the modern industrially produced modern foods. Doctor Howell believed that by eating these kinds of foods Americans were killing themselves with their diet. He said that when digestive enzymes were missing from foods, the body’s precious allotment of metabolic enzymes was used up for the digestive process, thereby causing their depletion and ultimately shortening life. 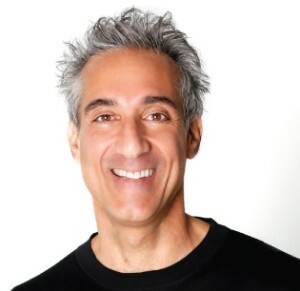 Whether or not that is the case, the fact cannot be disputed that food enzymes found in foods can make a substantial contribution to the digestive process. Enzymes in vegetables, as well as meat and dairy and eggs, can allow food to self-digest or predigest even before it’s blasted with digestive tract enzymes. However, because of the delicate nature of these enzymatic substances, they are typically unable to withstand the rigors of ordinary cooking and processing. This makes the dietary use of uncooked and unprocessed foods very important. Certainly, light and quick cooking can be helpful. It can make foods safer in the case of bacteria and other pathogens, and steaming or slighting roasting can help released nutrients, but the fact remains; cooking destroys enzymes. Dr. Howell also came up with a concept he called the “food enzyme stomach”. He noticed that many animals have their food pass multiple stomachs and that in many cases the initial stomachs don’t have their own enzymes, but rather are a holding area where enzymes in the foods themselves can in essence self-digest their food. This makes them easier to process and help support the animals digestive enzymes breakdown foods. Giraffes, yaks, and many farm animals (scientifically classified as “ruminants”) have four stomachs, the first three of which are enzyme-less. Other examples in the animal kingdom include the three stomach’s of cetaceans (whales, dolphins and porpoises) and the pre-stomach-like “crop” in birds. According to Dr. Howell, human beings also have a version of a food enzyme stomach even though, unlike ruminants, quite obviously don’t have four. Rather, human beings have one stomach that is divided into 4 sections. The first part is where food enters into the stomach from the esophagus, the “cardiac stomach”, so called because it’s located just beneath the heart. This section like the initial stomachs of ruminants, birds and cetaceans produces no enzyme secretions. According to Doctor Howell it is the equivalent of a food enzyme stomach. That means that like the fore-stomachs of various animal species, the cardiac stomach is an ideal setting for the enzymes in raw vegetables and in minimally cooked meat and fish to do their predigestion work on food, so that when it progresses into the latter areas of the stomach and the intestine the digestive process has already begun. Thus the importance of eating slowly and ingesting smaller bites and portions of food. 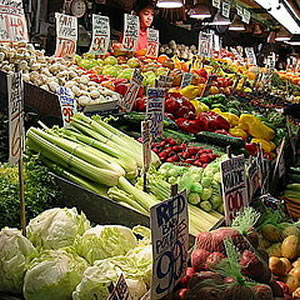 By reducing the speed and the amount of substances that enter into the alimentary tract and the enzyme secreting areas of the digestive tract, food stuffs can spend more time in the cardiac stomach holding area, where they can be pre-processed, i.e; self-digested, prior to their contacting the body’s enzyme juices. The end result of such pre-digestion is a more efficient utilization of comestibles, a reduction in the formation of toxins and potentially allergenic unprocessed food, and much improved nutrient availability. The most misunderstood and maligned nutrient is undoubtedly fat. Those three letters that are responsible for so much misery and marketing spell out the most powerful and energetically dense of all the macro and micro nutrients human beings and animals consume. 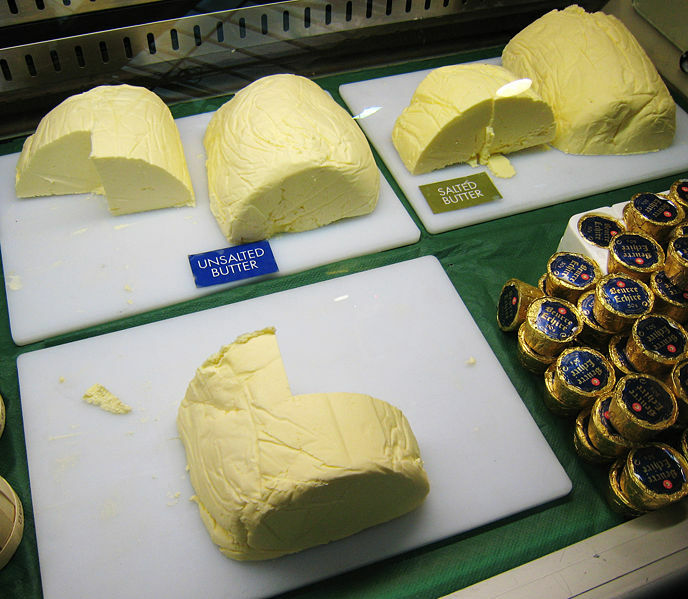 There are two main classes of food fats, which are sometimes referred to as “lipids” : saturated fats which are solid (think lard) and unsaturated fats which are liquid (think corn oil). Liquid oil, i.e. unsaturated fats can contain important components called EFAs and this makes them very, very important. Deficiencies in EFAs are associated with a myriad of health problems including skin issues, degenerative disease, impaired mental health and heart pathology name just a few. Because of the important role unsaturated lipids play in keeping the body strong and healthy, for most part nutrition-mined folks have rationally focused on getting enough those important fats while marginalizing, completely ignoring the significance of their saturated biochemical cousins. Until recently that is. In the past couple of years one the most important and functional, (not to mention tasty) of the saturated fats has been getting quite a bit of attention. 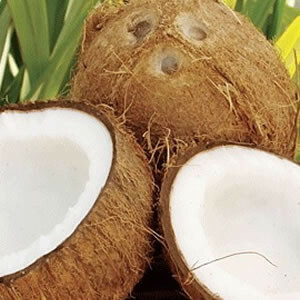 Coconut Oil for many years vilified and verboten, a heavy, artery clogging, and cholesterol raising generally unhealthy fat, as it turns is not so bad after all. 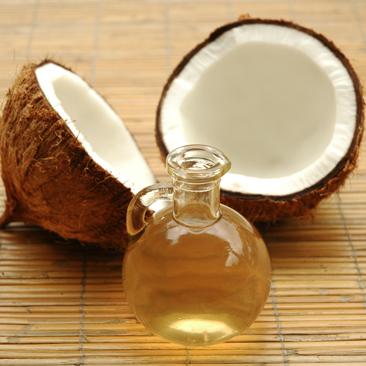 In fact there actually a lot to love about coconut oil! Another three letters should come to mind when you think about coconut oil: M.C.T. . Coconut Oil is one of nature’s richest sources of MCT. MCT stands for medium chain triglycerides and it is very good stuff. And, coconut oil is 2 thirds MCT, which means in every teaspoonful you’re going to get 3 grams of MCT oil. So why should you care about MCTs? Two words: weight loss! Well actually there are a lot of things MCTs are good for, they suppress your appetite you can use them for energy really quickly. They’re very satisfying and you’ll find yourself eating less food, and you’ll have more energy to do stuff. Body builders love MCTs because they go right into the blood, for use they don’t need to be processed before they can be used. As opposed to the long chain fatty acids that comprise most of our dietary fats, MCTs are relatively inert; they don’t really affect digestive chemistry. That’s important, especially if the digestive system is stresses or impaired. MCT’s don’t require bile. For those sans gall bladder, a teaspoonful or two of coconut oil can be a very tasty way to make sure they’re getting fats. We used them alot in the pharmacy when I worked at University Hospital which was a regional center for digestive system health issues. Burt best of all, MCTs don’t get stored like other fats, they’re used! Which makes them an ideal source of fat nutrition for dieters. 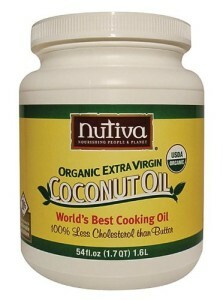 And coconut oil has non MCT related features that make it so darn loveable! Most especially it tastes great. Roast some veggie in it and not only do you get stable oil with a high smoke point, and nutritional value, but you get all that in great tasting oil! You can use coconut oil topically as a moisturizer or hair conditioner, it’s vitamin E content can protect skin and moisturize skin and hair protective and if you mix it up with a little honey or stevia and some fruit flavoring it has some great adult “entertainment” benefits too (use your imagination here!). If you have a favorite way to use coconut oil I love to know about it. Please fell free to share it in the comments below. One 54-ounce jar of pure-white, USDA-certified-organic, extra-virgin coconut oil, cold-pressed from fresh coconuts within two hours of chopping; light true-coconut taste, aroma. Any lingering doubt about the importance of nutritional supplementation should be dispelled by a recent article in the FASEB (Federation of American Societies for Experimental Biology) Journal. In the research, published online, scientists discovered that deficiencies in the mineral selenium imitated a highly sophisticated cascade of biochemical changes that protected essential reactions that depended on this important nutrient at the expense of reactions that are considered non-essential. Even more significantly, according to Dr. Joyce McCann, Associate Staff Scientist in the Nutrition and Metabolism Center at Children’s Hospital Oakland Research Institute and a co-author of the study, deficiencies in selenium resulted in genetic changes that shared characteristics of age related diseases including cancer, heart disease, and loss of immune or brain function. While toxic at high levels, small amounts of selenium perform many critical functions in the body and even the low RDA levels are hard to obtain from diets which contain high amounts of processed and refined foods. As Gerald Weismann M.D., Editor in Chief of the FASEB Journal succinctly stated: “This research should settle any debate about the importance of taking a good, complete multivitamin every day”. The FDA authorized the following health claims submitted by the company and Dr. Wallach: Selenium may reduce the risk of certain cancers. Selenium may inhibit Hashimoto’s disease, in which the body’s own thyroid cells are attacked as alien. A reduction of 21% on TPO antibodies is reported with the dietary intake of 0.2 mg of selenium. Increased dietary selenium reduces the effects of mercury toxicity, although it is effective only at low to modest doses of mercury. Evidence suggests that the molecular mechanisms of mercury toxicity includes the irreversible inhibition of selenoenzymes that are required to prevent and reverse oxidative damage in brain and endocrine tissues. 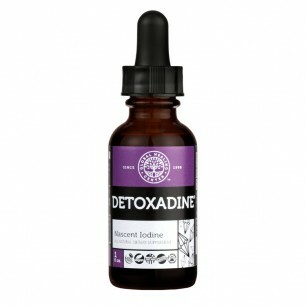 An antioxidant, selenoneine, which is derived from selenium and has been found to be present in the blood of bluefin tuna, is the subject of scientific research regarding its possible roles in inflammatory and chronic diseases, methylmercury detoxification, and oxidative damages. Magnesium is the fourth most abundant mineral in the human body. 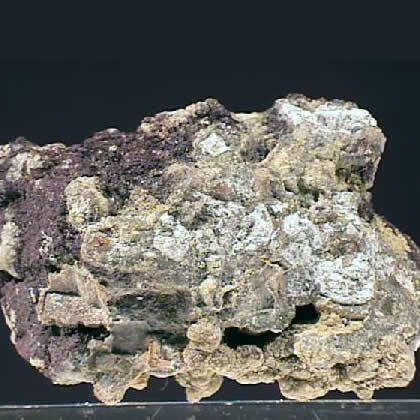 This miracle mineral plays an integral role in over 300 different chemical reactions in the body. Yet according to government statistics published in 2005, 68% of Americans do not consume even RDA (Recommended Daily Allowance) levels and 19% of Americans don’t get even half of the government’s recommended daily intake of magnesium. 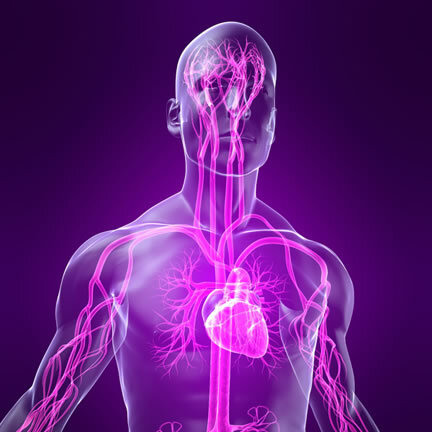 Cardiovascular health and blood sugar health is dependent on this important mineral. Taking 1 or 2 grams at bedtime can be very relaxing and higher doses (10 grams or so) can function as a laxative. Magnesium is found in chlorophyll-containing foods. Halibut and almonds are also good food sources. Some of the better supplemental forms of magnesium are magnesium glycinate, magnesium aspartate. It’s a good idea to try to take at least 1500-2000 mg of magnesium a day. 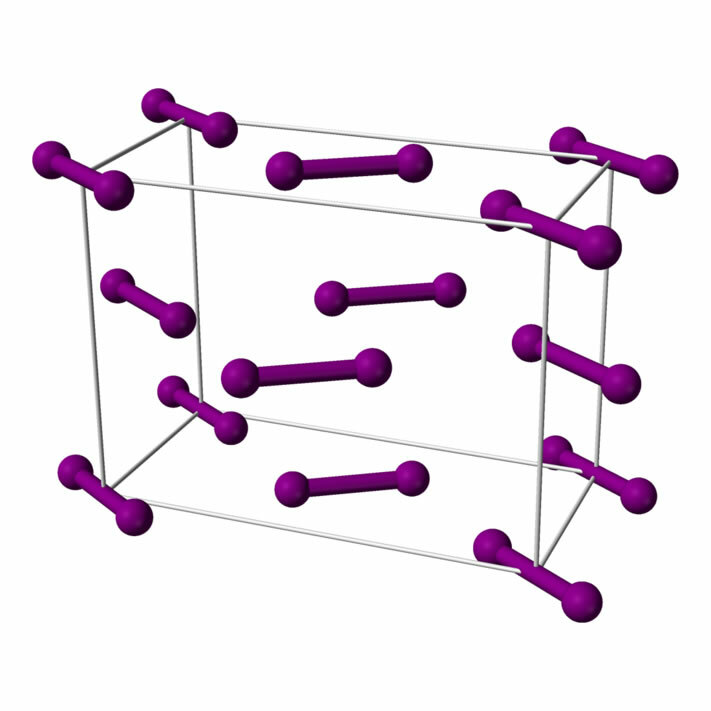 Magnesium is a chemical element with the symbol Mg and atomic number 12. Its common oxidation number is +2. It is an alkaline earth metal and the eighth most abundant element in the Earth’s crust and ninth in the known universe as a whole. Magnesium is the fourth most common element in the Earth as a whole (behind iron, oxygen and silicon), making up 13% of the planet’s mass and a large fraction of the planet’s mantle. The relative abundance of magnesium is related to the fact that it easily builds up in supernova stars from a sequential addition of three helium nuclei to carbon (which in turn is made from three helium nuclei). 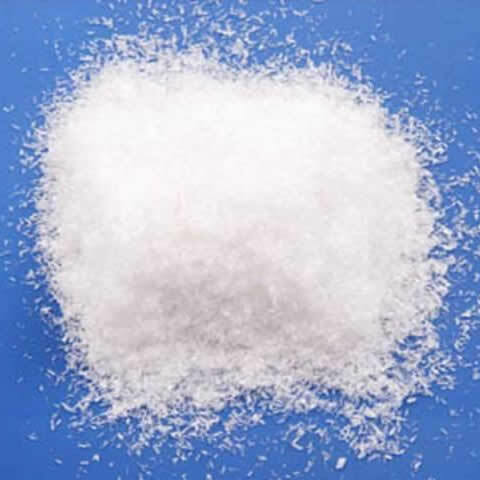 Due to magnesium ion’s high solubility in water, it is the third most abundant element dissolved in seawater. 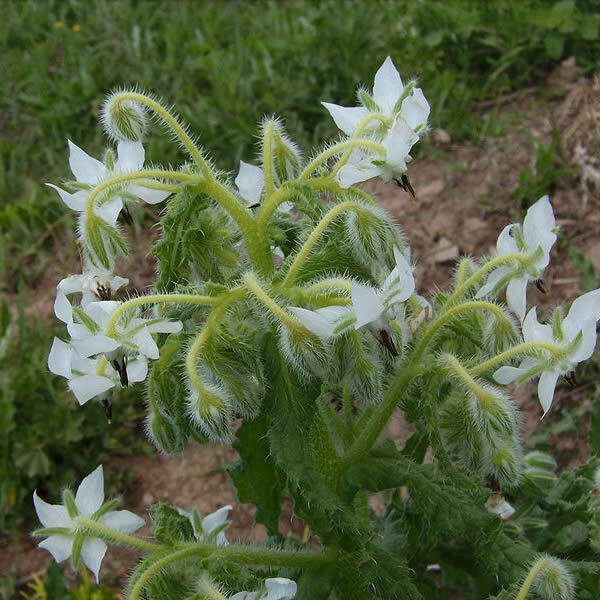 The Borage flower contains high levels of essential fatty acids. The second essential fatty acid is generally known as Omega-6 and like its aforementioned cousin Omega-3, supplementation is critical. While Omega-6 EFAs are found in many commonly used food oils, such as corn, soy, sunflower and safflower, production that occurs at manufacturing and food processing levels as well as simple cooking in restaurant and homes depletes most of them of this vitally important nutrient. This makes supplementing diet with Omega-6 oils an important part of a good nutritional program. The best nutritional sources of Omega 6 oils include evening primrose oil, borage oil, and black currant seed oil. Omega-6 fats are associated with lowering the incidences of various common health ailments including diabetic nerve pain, rheumatoid arthritis, attention deficit disorder, eczema and menstrual and menopausal symptomology. Most nutritionists recommend taking Omega 6 and Omega 3 EFAs in proportion with each other in a 2:1 to 4:1 range. The so-called “Mediterranean Diet”, which is associated with good health and longevity, is noted for its optimum Omega 6 to Omega 3 ratio.